This beautiful DIY project comes from my friend Lorena Siminovich, founder of the iconic kids’ brand Petit Collage. It’s a perfect holiday gift to make with kids! 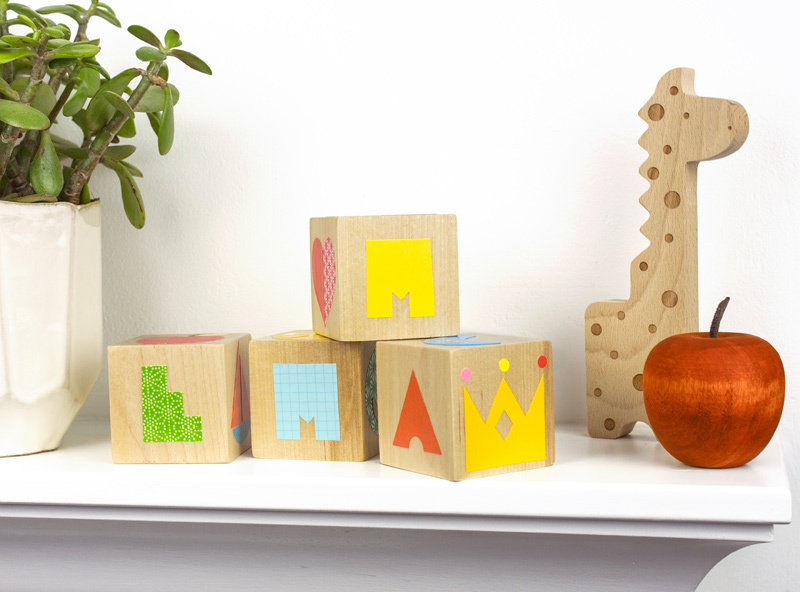 These custom DIY wood blocks are a perfect keepsake for play and display, and they’re so easy to customize with a child’s name. 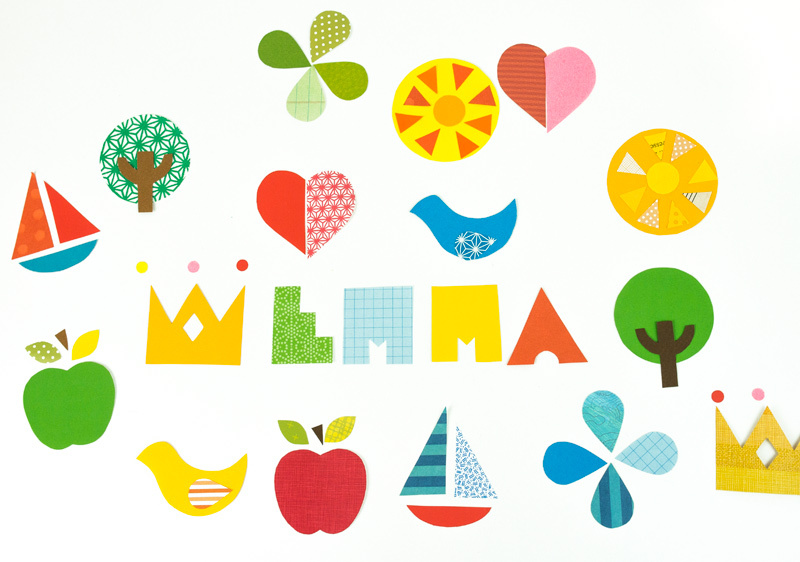 The printables include templates with all of Petit Collage’s classic motifs, plus a full alphabet. 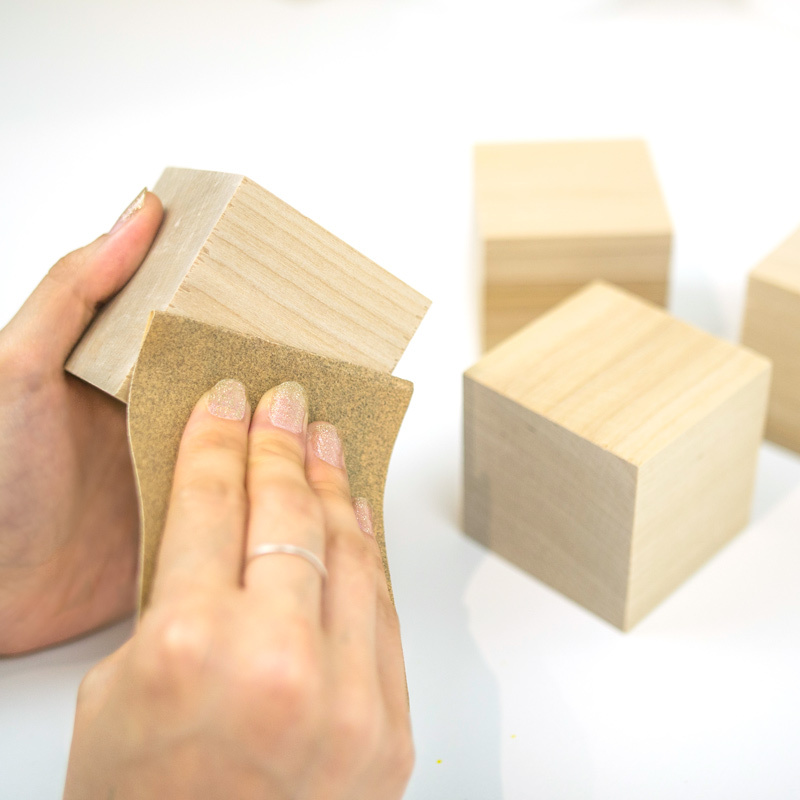 Step 1: Gently sand away the rough edges from the wood blocks. Use as many or as few blocks as you’d like, depending on the name you’d like to spell. Step 2: Coat the exterior of each block with decoupage glue. Allow to dry. 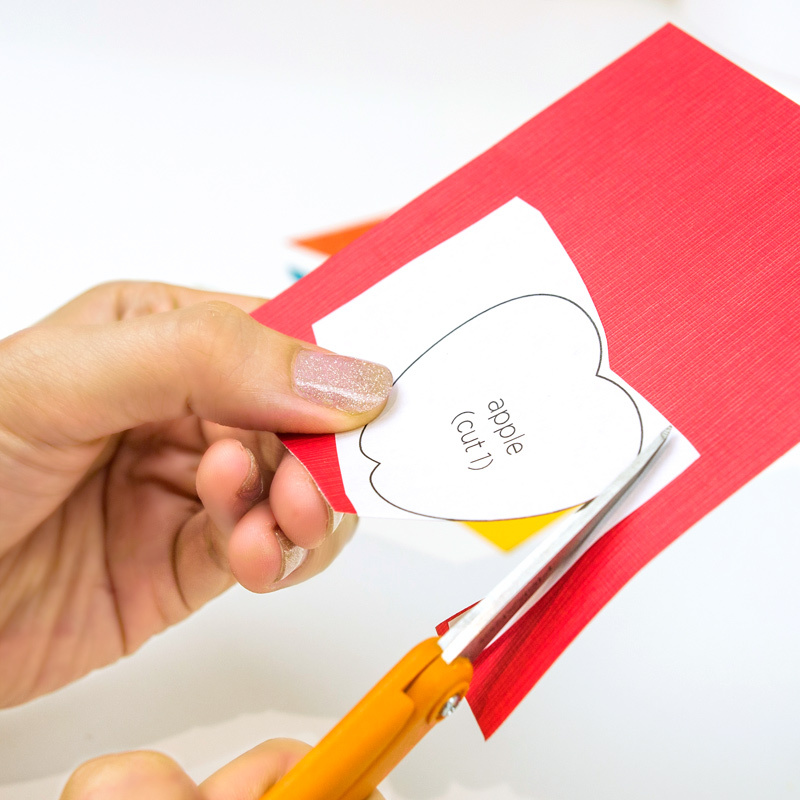 Step 3: Using the template, cut out all alphabet, apple, bird, boat, crown, heart, tree, sun, and clover pieces from any decorative papers you choose. Using your hole punch, punch out 3 “jewels” to sit above the points of the crown shape. Have fun mixing and matching colors and patterns. 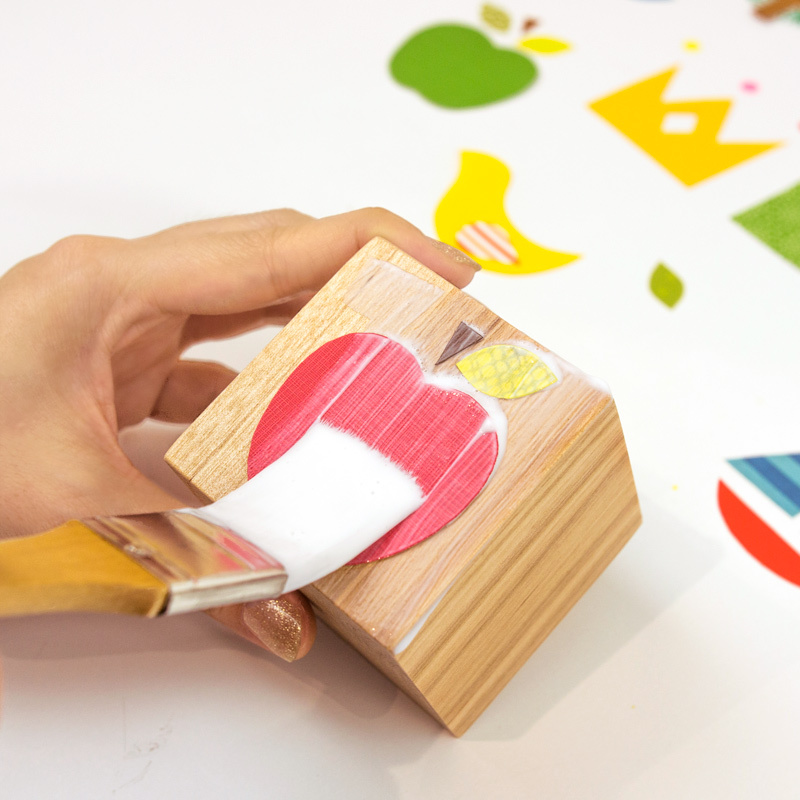 Step 4: Apply the paper shapes to the blocks using decoupage glue. Allow to dry. Draw in the bird eyes using permanent marker. Step 5: Apply a final protective coat of decoupage glue to the entire surface of the blocks. Allow to dry. Janette is the Head of Expansion in San Francisco for Homepolish. Homepolish was founded to shake up an industry that’s traditionally been reserved for an elite few – and make the luxury of a personal interior designer available at every budget. By charging a straightforward hourly rate (and taking the commissions, markups, and hidden costs out of the equation), they make the process of creating your dream space simple, fun and accessible. 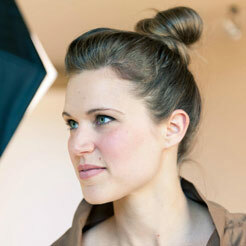 Janette is also the founder of Sun + Dotter, a home and fashion styling service for families. Follow Homepolish on Instagram, Pinterest, Facebook and Twitter.